bound illustrated volume with 29 pages of typographic lithographs and lineblocks on colored paper, plus the cover. 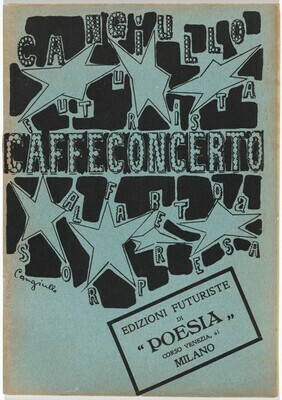 (L'Arengario Studio Bibliografico, Gussago); purchased 2009 by NGA. Hulten, Pontus. Futurismo & futurismi. Milan, c1986: 439.